Select 1 Archfiend monster on your side of the field when you activate this card. When the monster’s controller pays Life Points during the Standby Phase for the selected monster that player’s opponent also must pay equal Life Points. If this card is destroyed or removed from the field	destroy the selected monster. 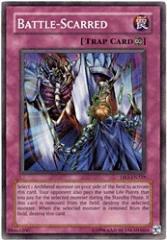 When the selected monster is destroyed or removed from the field this card is also destroyed.